RPM Nautical fundation, an American maritime research non-profit, announced this week that they have just uncovered a whopping 22 shipwrecks around the Fourni archipelago—a find they say adds 12 percent to the total number of known ancient shipwrecks in Greece. Over half of the wrecks date to the Late Roman Period (circa 300-600 A.D.). Overall, the shipwrecks span from the Archaic Period (700-480 B.C.) to the Classical (480-323 B.C.) and Hellenistic (323-31 B.C.) through the Late Medieval Period (16th century). "Surpassing all expectations, over only 13 days we added 12 percent to the total of known ancient shipwrecks in Greek territorial waters," Peter Campbell, of the University of Southampton and co-director from US based RPM Nautical Foundation, told Discovery News. 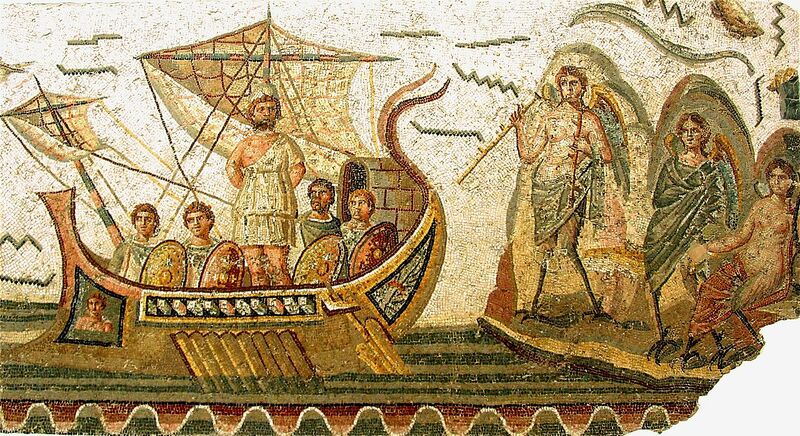 The team says the finds could change the way historians think about ancient Greek trade. For instance, some of the amphorae styles found around the wrecks have never been seen before on the seafloor. The cargoes reveal long distance trades between the Black Sea, Aegean Sea, Cyprus, the Levant, and Egypt in all those periods. At least three ships carried a cargo of amphoras, or jars, that have not been found previously on shipwrecks. RPM Nautical Foundation collaborated with the Greek Ephorate of Underwater Antiquities on the recent shipwreck hunt.